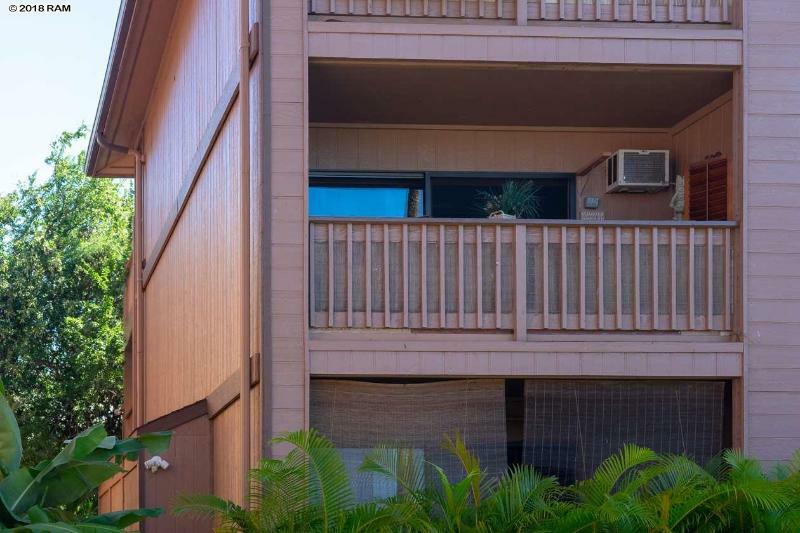 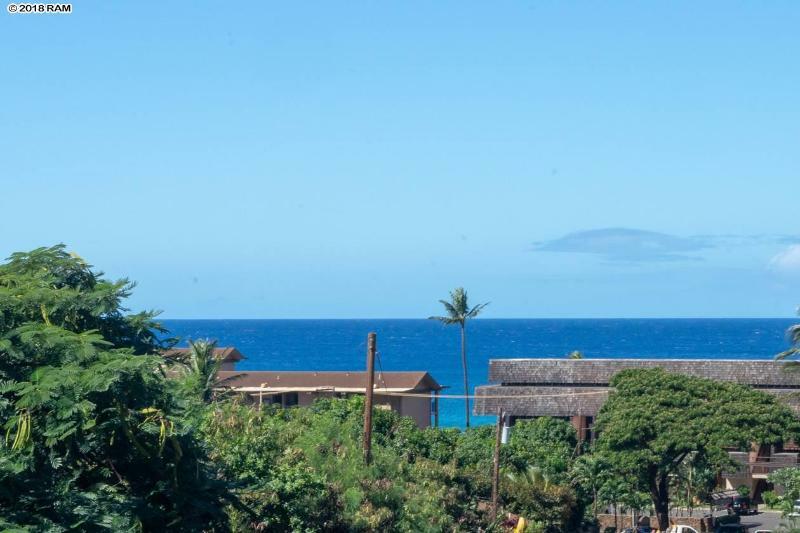 Unit G-209, a beautifully remodeled end unit with an ocean view and a spacious lanai, is a sweet place for anyone who values close proximity to beaches, restaurants and grocery stores. 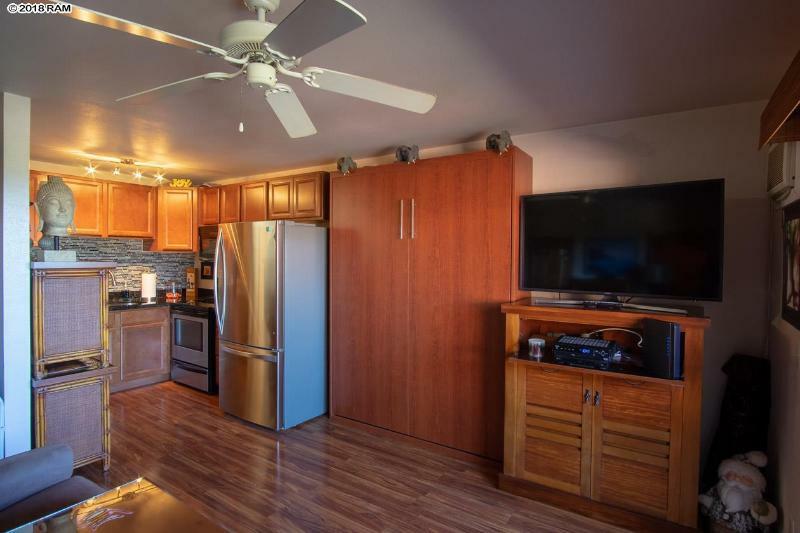 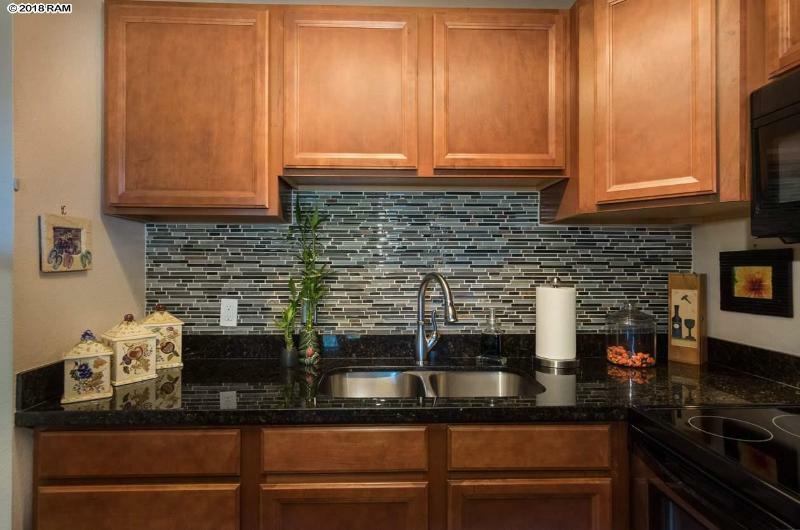 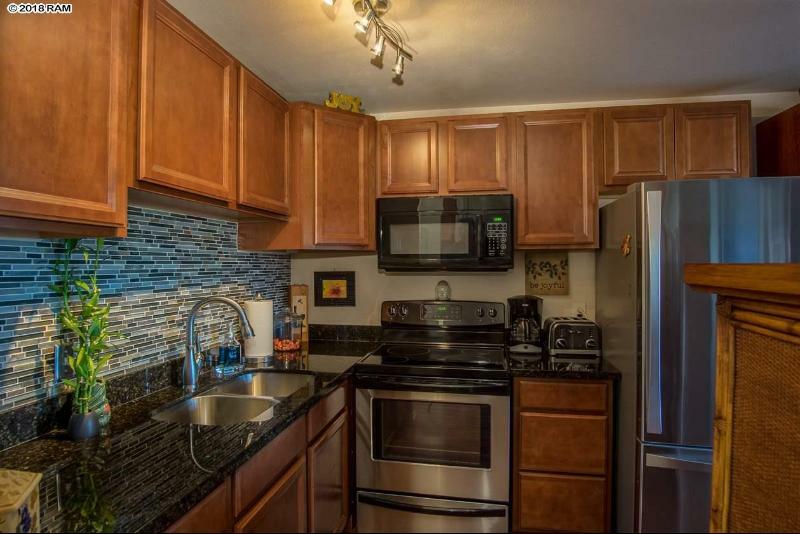 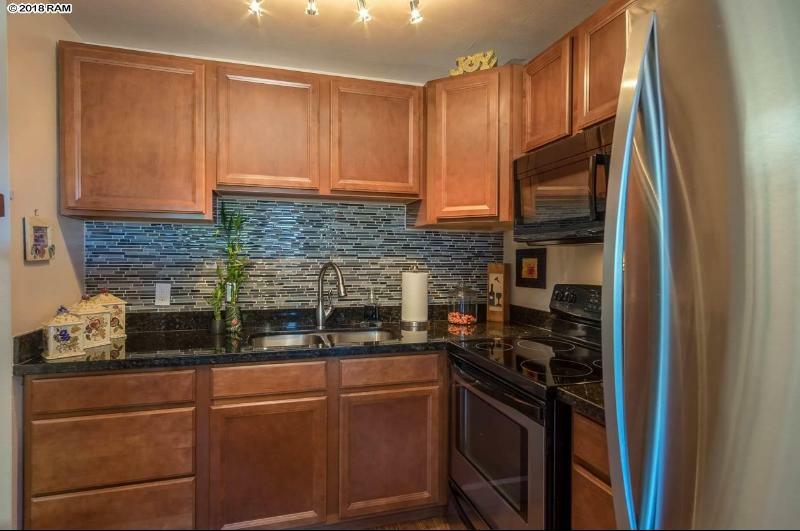 This studio has granite counter tops, stainless steel appliances, (including a new refrigerator), under-mount sinks, laminate flooring and many other special touches. 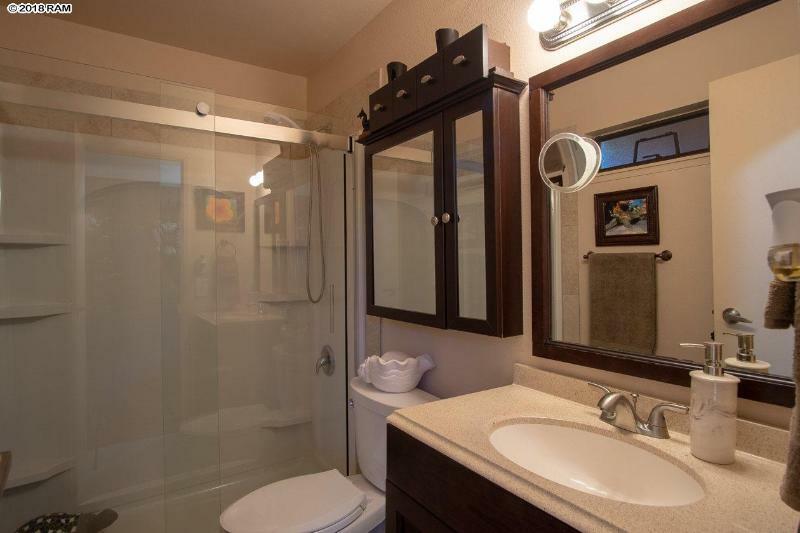 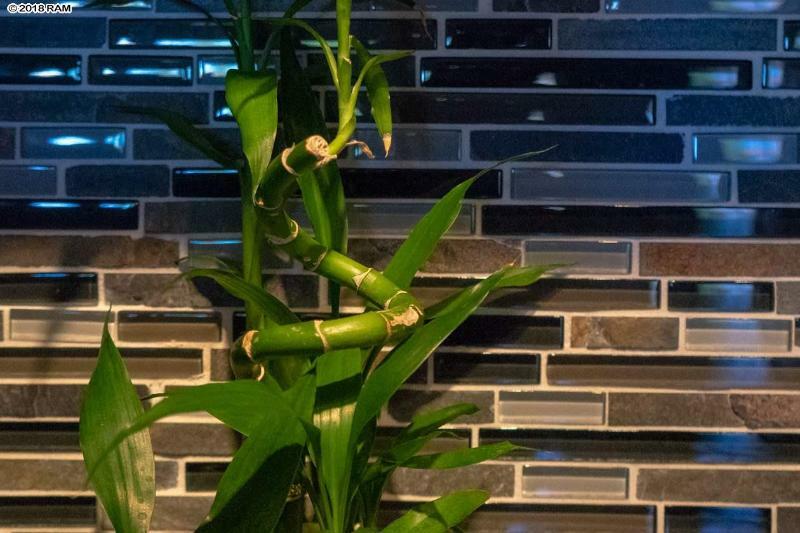 The bathroom has glass shower doors and custom tile. 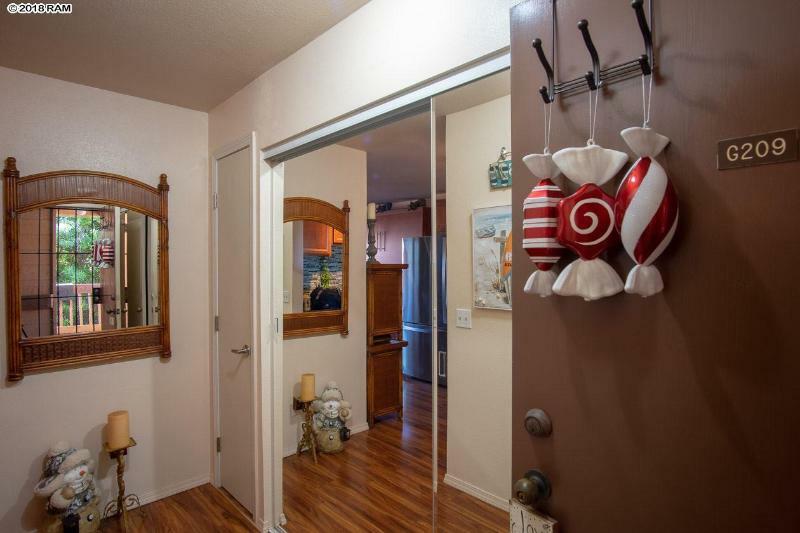 The space is very efficient and includes a washer and dryer in the well-organized closet across from the bathroom. 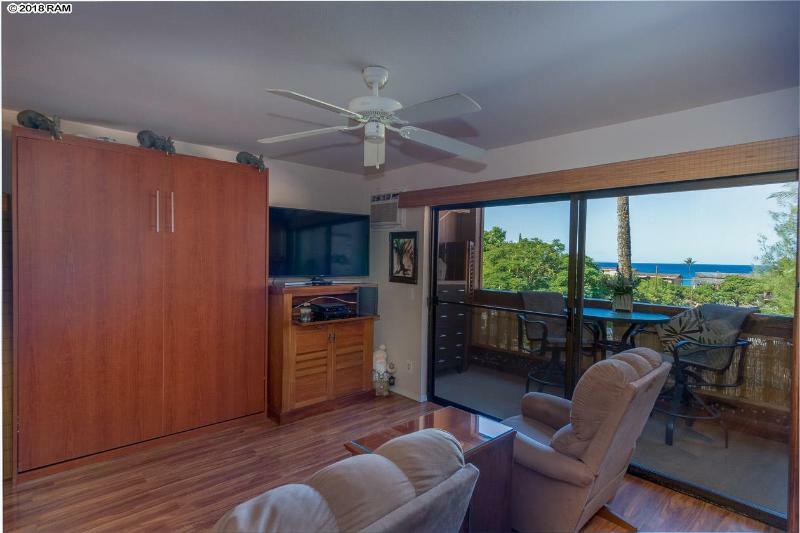 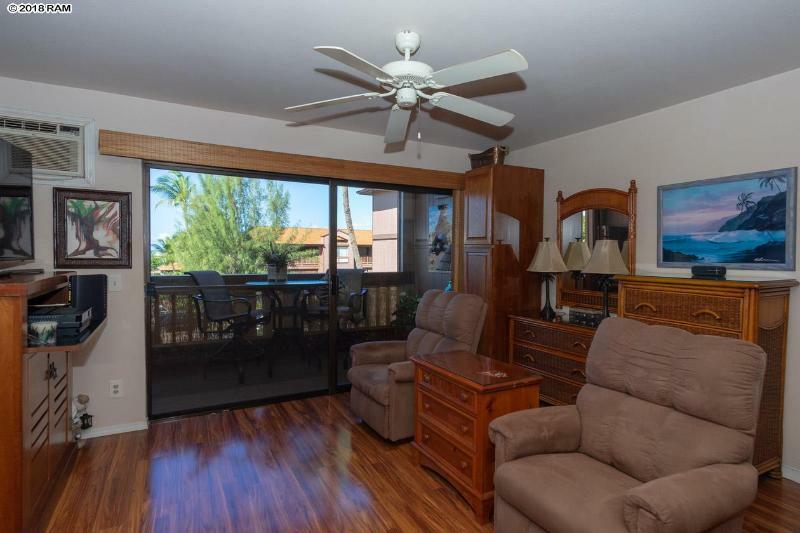 You will rarely need A/C because there is a security screen door that provides wonderful ocean breezes, but there is an A/C unit if you really need it. 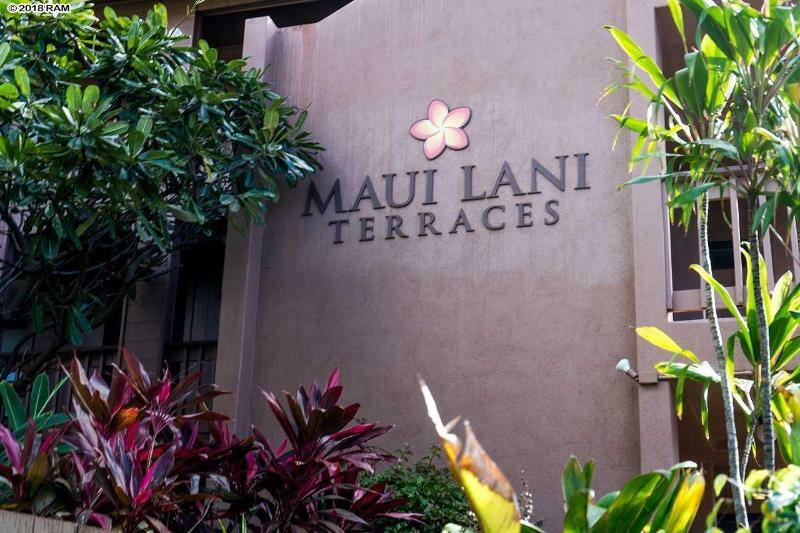 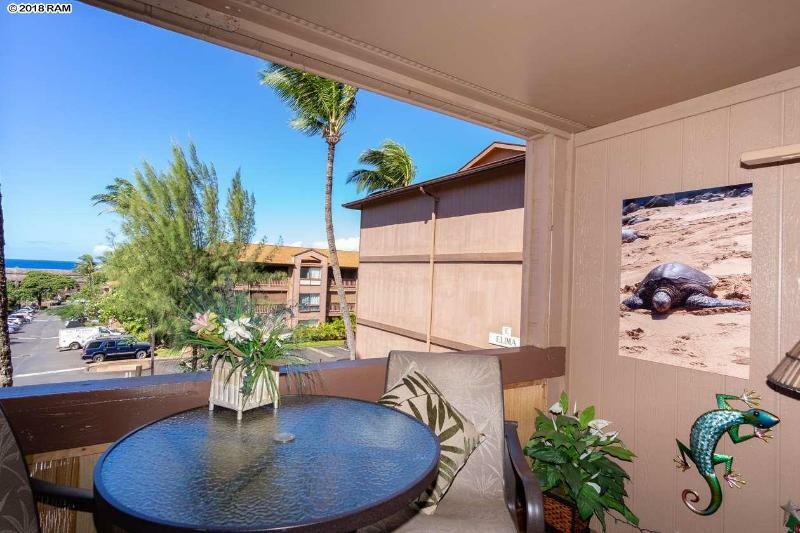 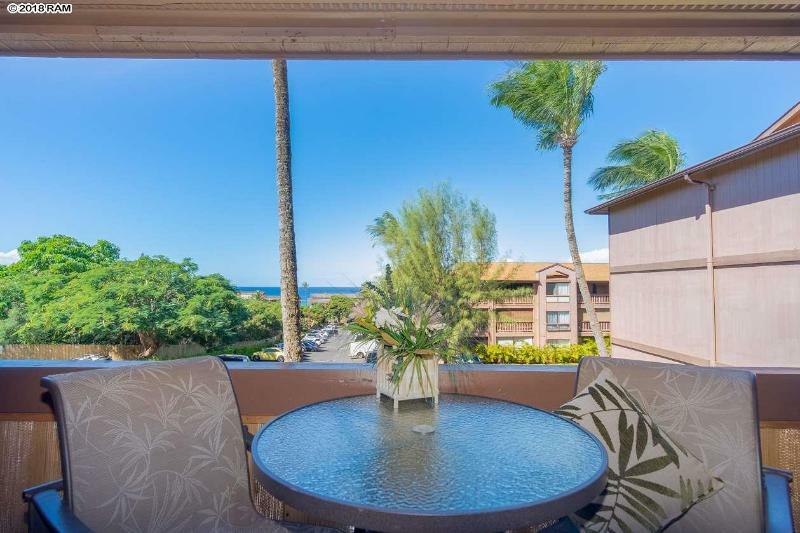 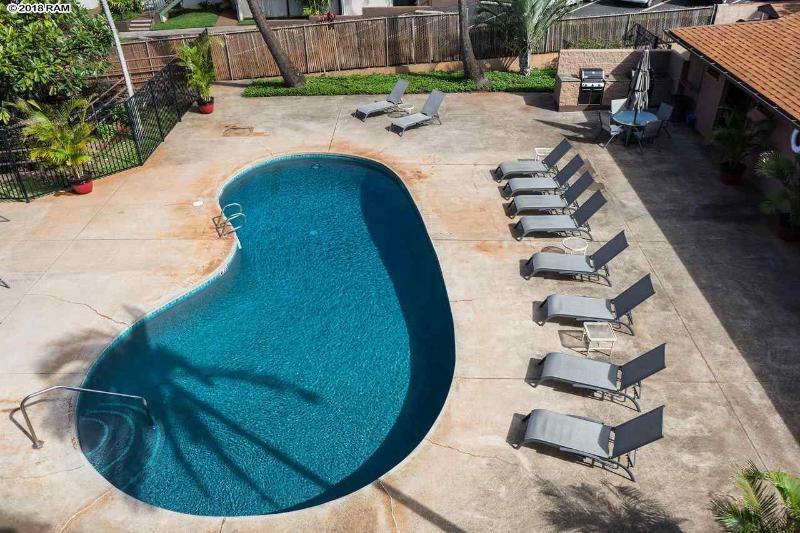 Maui Lani Terraces is a well-kept condo complex with a pool and a gym and very low maintenance fees. 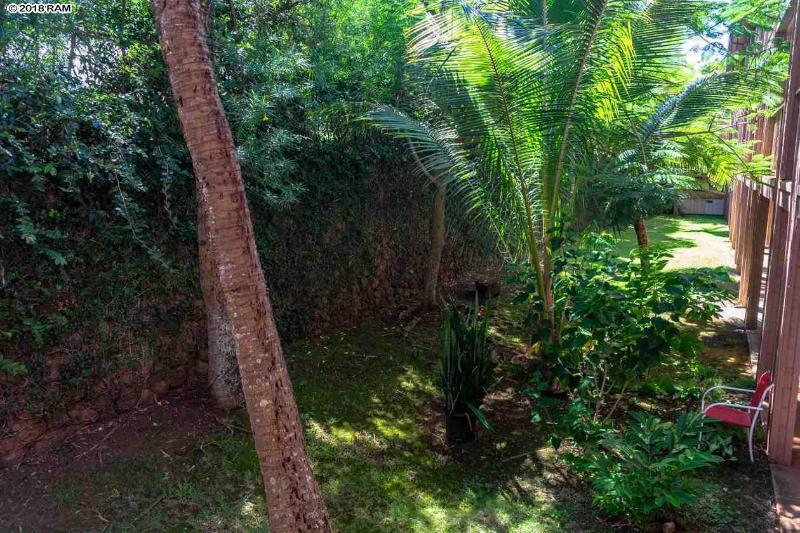 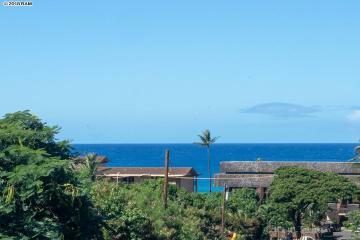 This is a wonderful opportunity for a Maui resident or investor. 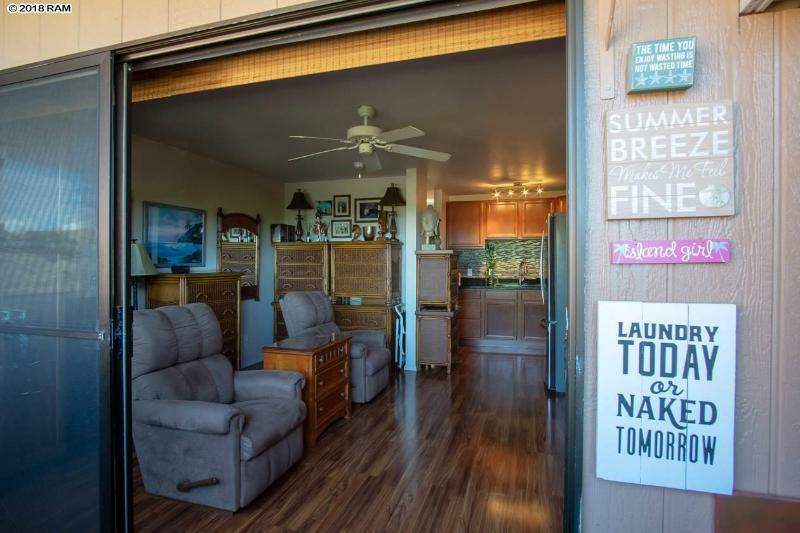 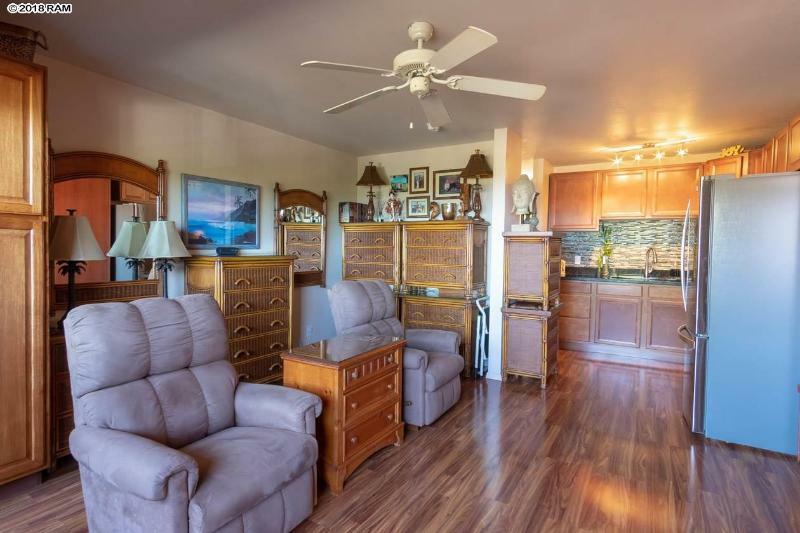 3740 Lower Honoapiilani Rd, G209, Lahaina, HI.